Quilt fabrics are not limited to cottons and block background colors don’t strictly have to be white or even a solid color. 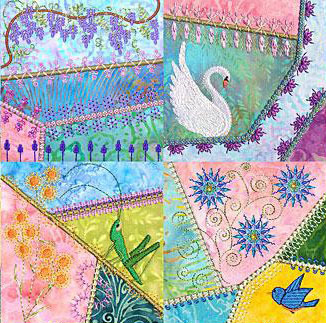 These examples will give you some different ideas for choosing fabrics for your quilting projects. Thinking out of the box when choosing your fabrics can make an ordinary project quite spectacular. 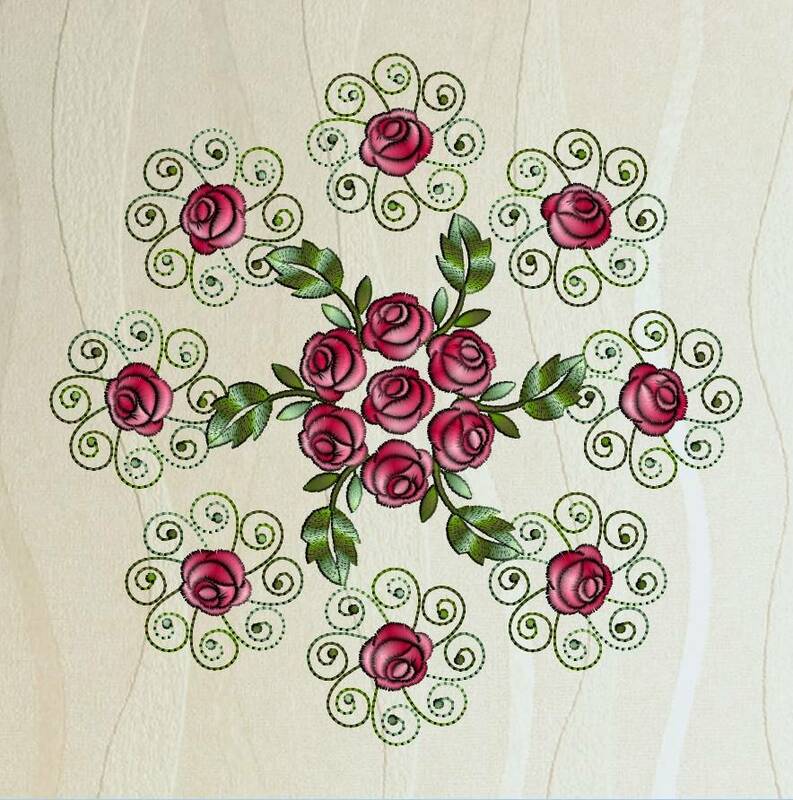 Crazy quilting designs, like Series 3, Part 2 from Molly Mine, are noted for their decorative embroidery stitches. Tone-on-tone or softly variegated batiks create backgrounds with a ton of interest without detracting from the beautiful embroidery designs. 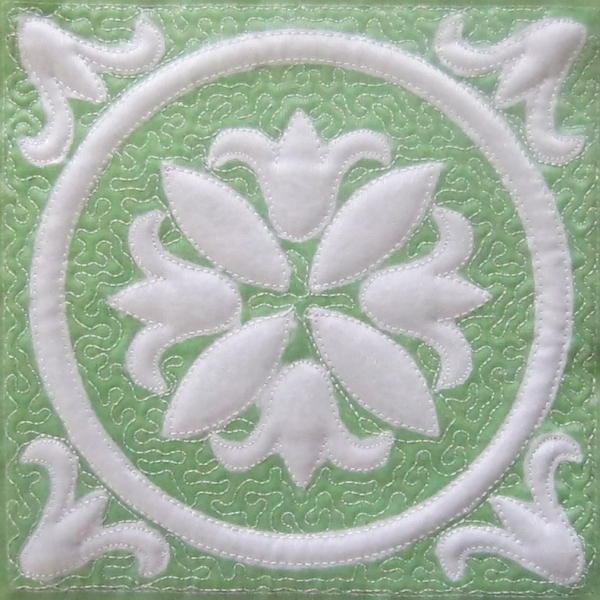 Solid backgrounds provide a lot of contrast with applique designs, like the green of Shadow Trapunto Talavera from Embroidery Weekly. But what about stitching applique on a print? If you choose the right fabric, it can work as this companion design does. Even slight textures on a background can make embroidery interesting. Quilts and Pillows Set 2 from Ovistin in Africa is stunning on a slight tone-on-tone texture. 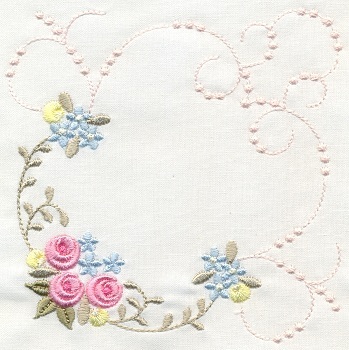 When background color changes are subtle, the emphasis remains on the embroidery. These two words are rarely in the vocabulary of a machine embroiderer. 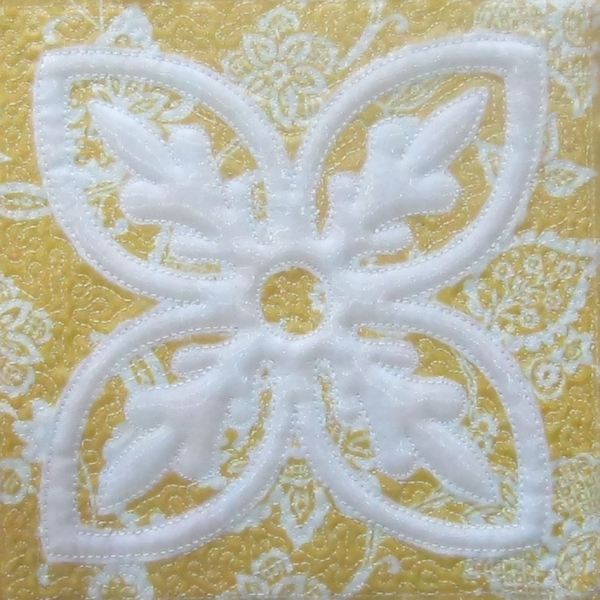 But when the result is as stunning as the Magic 1 Paisley Delight quilt block from Inspiration Mutz, you may want to give it a try. The combination of dimension and shine provides a metallic quality that is far from traditional. 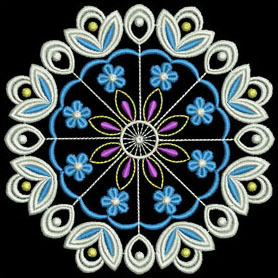 Most quilts are stitched on a white or light background. Fabulous Quilts from Sweet Heirloom Embroidery shows you how a black background makes the embroidery pop. A dark navy blue would do much the same. 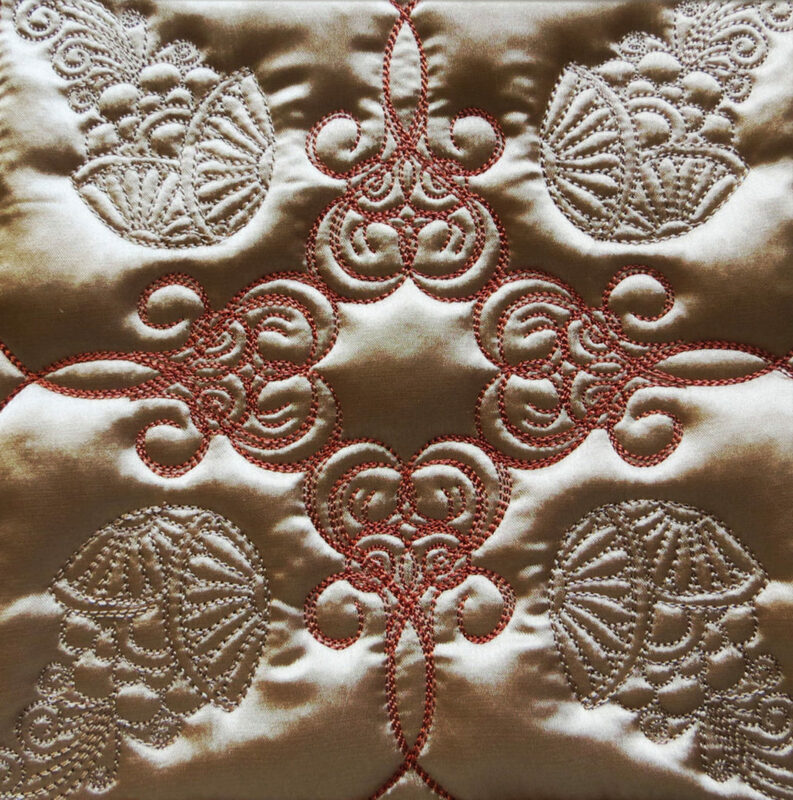 Antique Pearly Rose Quilt from Artistic Designs would not be nearly as stunning stitched on a dark color as it is stitched on ivory. Heirloom projects typically require an equally delicate background for the embroidery to look its best. 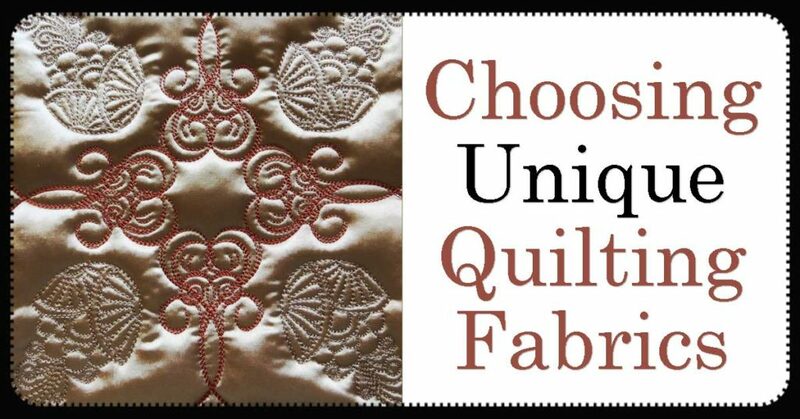 What is the most non-traditional fabric you have used for quilting?